As this is the last episode of Breaking Banks before the end of the year, we wanted to make sure it had plenty of food for thought. And we just want to say- Be prepared to FEAST! We are fully loaded with a great show. On this episode, our host Brett King talks with geek-famous blogger Robert Scoble, one of the authors of "Age of Context: Mobile, Sensors, Data and the Future of Privacy", Poynt Founder and CEO, Osama Bedier, Pierre Castagne and Fabrice Aresu from Luxoft, and our regular Jim Marous from the Financial Brand. 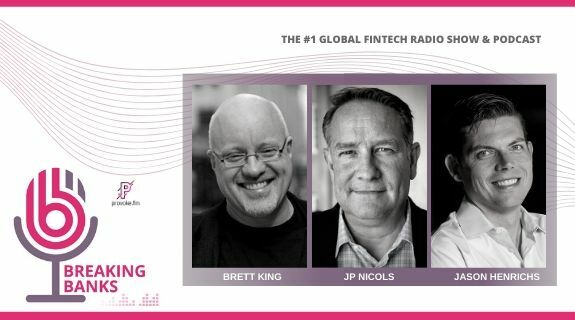 https://www.voiceamerica.com/show/2193/breaking-banks-fintech 25/04/2019 12:00 25/04/2019 01:00 Breaking Banks Fintech https://www.voiceamerica.com/show/2193/breaking-banks-fintech As this is the last episode of Breaking Banks before the end of the year, we wanted to make sure it had plenty of food for thought. And we just want to say- Be prepared to FEAST! We are fully loaded with a great show.